Throughout the past year, many lives were enriched through more than $8.4 million in grants dispersed, serving a range of needs and making a difference for many. Welcome! To CommunityGiving - Grant Management System (CG-GMS). 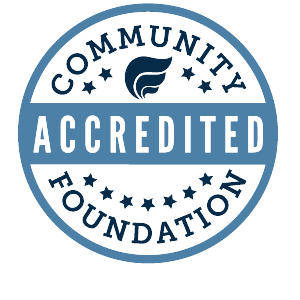 CommunityGiving (CG) is to proud administer the grant process using CG-GMS for our partner foundations and their funds. What is a Grant Management System (GMS)? A GMS houses all of your application and subsequent reports for all grant rounds with our foundation. It will provide you with access to a full history of your grant application, grant awards and reports with CommunityGiving. NEW TO CG GRANT MANAGEMENT SYSTEM? Review the guidelines, description and gather information you will need to create an account listed below. Click "Application Packet" button at the top of page to review a pdf of your document before you submit. Press the "Submit” button at the bottom of the application. Email confirmation will be sent when document is submitted. All communication will come from CommunityGiving. All notification about grant status will be sent to your login email. You may also check your account. If you have already used our online grant system, but have forgotten your password, visit the CG-GMS then click “Forgot Your Password?” and follow the instructions.